Guest Post – By Tom Brialey, owner of Action Storage. You’ve got Pinterest boards filled with décor dreams but a bank balance that brings you back to reality. Almost everyone wants a stylish home, but unfortunately a stylish home comes with a hefty price tag meaning that most settle for magnolia walls and generic flat-packed furniture. This doesn’t have to be the case. Getting the home you dream of can be achieved with a little bit of budgeting and minor DIY skills. The industrial look has gained in popularity over the last few years. A mixture of raw wood and steely metallics have been brought together to create the ultimate ‘hipster’ industrial feel, which resonates with cool bars and independent coffee shops, giving a relaxed vibe. As soon as you type ‘industrial furniture’ into any search engine or shop you will be faced with a price tag of £150+ and after two pieces you are priced out. Don’t let this shatter your industrial hipster dreams. The look (above left) can be achieved by buying modern school lockers, and a metal paint to give it a gunmetal grey look, this will cost approximately half the price of a vintage locker. If you are not the painting type, a mesh locker (above, right) may be a better option. Use the mesh locker to display cool trinkets, maybe your record collection, or just use as general storage. Team your new locker with an inspirational quote hand painted on a canvas and the Pinterest board ‘hipster/industrial’ becomes a reality right in your own living room. If you are someone with itchy feet but life and various responsibilities, such as your job and bills, are stopping you from travelling, you can wake up to a view of the city (almost) in your own bedroom. City skylines are becoming prevalent due to the minimalist trend which is popular in 2016. Simple black outlines on blank walls have hit it big and it is really easy to achieve the look for just a couple of pounds at home. Start by carefully drawing the outline of the skyline you have chosen in pencil, use the ruler and avoid skylines with too many curves, the tape will only be able to make straight lines. When, using your spirit level, you think you have all your lines straight, and are happy with your pencil drawing, start covering the pencil with the tape. Remember to stand back and look from a distance as you go along. Hey presto! A chic city skyline for less than £10. A few years ago the idea of upcycling popped into a few peoples heads. Instead of buying something new, why not repurpose or refurbish something old and unloved, and so the trend was born. Often referred to as a waste product, pallets became the star of the show when a few clever busy bodies decided to create all kinds of furniture out of them. Those without the imagination, or necessary DIY skills, lusted after these items and suddenly there was a demand, and with demand comes the supply, at a hefty price. A pallet coffee table can go for as much as £200 online. This price for something that, once upon a time, was essentially rubbish. Luckily, if you would like to add a piece of pallet furniture to your décor there are hundreds of FREE online DIY tutorials, either found through Pinterest or on YouTube. Ask local businesses if they have any pallets that they can spare or you can pay a small price for. Failing that you can spend time scouring eBay, Gumtree or Freecycle to see if people want to get rid of them but don’t fancy a trip to the tip. Your only issue will be not having enough space in your house for all the amazing pallet furniture you will end up making. The geometric trend allows those who like minimalism to enjoy bursts of colour in their home. Although geometric décor is big for 2016 it is in no way a new trend, bold geometric patterns could be seen on walls, art and clothing in the 1960s. Section the canvas into a geometric pattern, it is best to have an image in mind to ensure you know what the finished piece will look like. You can lightly use a pencil and a ruler if you are not confident putting tape on freehand. Paint the different parts of the canvas in different but complementing colours, if you don’t want to have white lines between the shapes you will have to wait for sections to dry before moving the tape. When it has all dried, carefully peel the tape off and you should have a beautiful geometric work of art, perfect for the minimalist and those who rent will be pleased to know that canvases are generally quite light, this means no nasty holes in the walls as well as ensuring you get your deposit back. There you have it, four ideas to help you make sure your house stays on trend without costing you a lot of money. When you imagine your dream kitchen or bathroom, what do you see? There is a high chance that granite countertops and tiles make an appearance in your longed-for home. The professionals are ready to work with you so that you can find just the right pattern and color palette for your kitchen or bathroom, along with the most ideal layout and design that will impress family and friends. Your dream home is actually a lot closer than you might think. 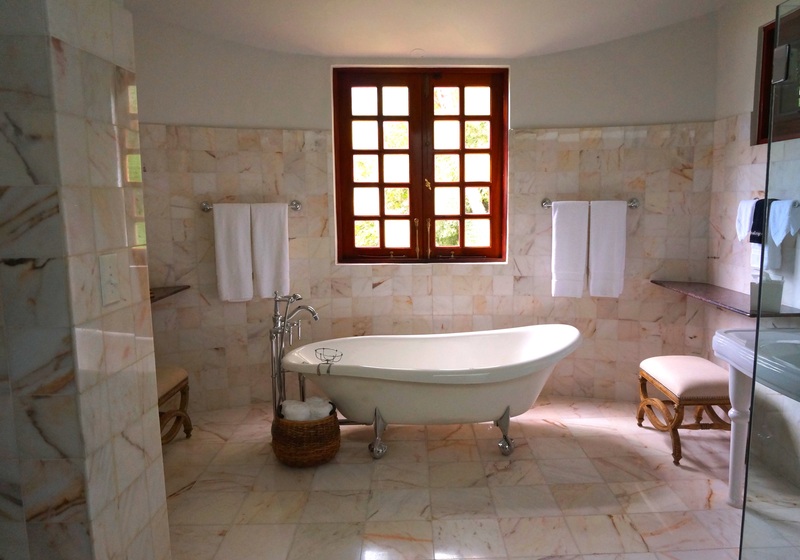 When you first walk into a room and see the glisten of sunlight reflecting off of a granite countertop or tile mosaic, you imagine that you are in a royal palace or a luxurious hotel getaway. Yet believe it or not, that same feeling can be conveyed in your home or business. With a granite counter in Ottawa, those streamlined designs and expert layouts can be all yours. Granite is a wonderful choice for homeowners and business owners because the material is smooth to the touch, making it tactile and easy to work with. It will stand up to wear and tear for years to come, so you know you are getting a great investment. The lovely granite tiles and slabs come in a wide variety of textures, patterns, and colors so you can select just the right option for your space. Think about the mood that you want to convey in your bathroom or kitchen and then use these a lovely granite counter in Ottawa to make it a reality. What are you looking for? Soft neutral tones, or something more dark and striking? Whether you want a touch of elegance on your kitchen backsplash, or you are in the market for an entire new set of counters, then make your desires known and the experts will work with you to bring the vision to life. Both businesses and residences alike can benefit from a granite countertop or lovely tile mosaic. In restaurants, the backsplashes and tiled walls provide an inviting atmosphere for clients as well as a lovely work environment for cooks and employees behind the scenes. It all adds up to create an award-winning ambiance that will have diners coming back for more. In homes, the regal simplicity of a granite countertop or cabinet refacing is a wonderful way to elevate the market value and desirability of your living space. Check our remodeling gallery to get more great ideas. To be perfectly honest, until this last week, our house has pretty much been one big DIY DISASTER! I met my current partner about three and a half years ago and since me and the girls lived in a rented house and he owned his own, we all decided to move into his house. To say it was a wreck, is really an understatement. He’d bought it as a project house but sadly hadn’t really gotten very far. He was also a guy, living alone – so without being too sexist, it didn’t have much interior design! Before moving in, we tackled the loft, the spare bedroom and the lounge. The loft was really just an easy place to start and we took it from the horrible black you can see in the picture, to wallpapered white, to pale blue. This was the first time Chris or I had wallpapered and it was definitely an experience! Next was the green room – which we turned pink. It was the first time ever that we’d lived in a house that was owned, so giving the girls a pink room was really their dream. I wanted them to feel at home in this house which definitely wasn’t homely and I wanted them to feel comfortable with my new partner. When we finished it was pretty good, though I did make a bit of a disaster by slitting the carpet in a fairly obvious spot! In association with HMC Furniture UK I was asked to share my biggest DIY Disaster and in the spirit of April Fool’s Day, this seemed like a great idea! Until this house, my biggest faux pas when it came to DIY, was probably some shelves that I once put up (they were in a cellar and were meant to house alcohol). Sadly they came down within a few weeks and when they did there was a lot of broken glass and wasted liquid! However since living here, I can honestly say its been disaster after disaster! If I had to sum it up to just one though, it would definitely be decorating the lounge. As you probably saw above, our lounge used to be red. Chris had his TV on the wall, dark black curtains and it just wasn’t my style at all. Instead we painted the walls a sort of stone colour, took down the tv, lessened the black and brought splashes of the red in with curtains and cushions. I was pretty pleased with the finished room. However the process of getting there was definitely interesting. There were some areas with loose plaster – in one corner and just behind the sofa. No biggie right? Until the plaster started falling off everywhere! Luckily, Chris was pretty handy with the plaster, but what a disaster! And don’t even get me started on the kitchen… or our bedroom ceiling. I can’t even tell you how many issues we’ve had! However as you know, this last two weeks we’ve been working on getting all our DIY up to scratch! I can’t wait to share it with you next week! This post is contributed by Alex. Doing a makeover of your daughter’s bedroom can be a big task to undertake. Here are some key tips to help you make a success of it. The most important part of any bedroom is, of course, the bed. Without a great bed, it’s impossible to create a great design for your daughter’s bedroom. It’s as simple as that! But there are lots of different options for you to consider. You could create your own if you like DIY. If not, there are loads of creative options out there. Loads of great websites provide cabin beds for girls and boys. Some of the best ones aren’t gender specific, so don’t constrain yourself to the stereotypical, pink options. For example, you can buy beds that are designed so that they look like teepees. Or you could get a bed with loads of incorporated storage if the room is small. As your daughter grows up, it’s important to have a space where they can work as well as have fun. If you ask me, creating a special place in the room where they can do homework or just read for the fun of it is essential. This encourages them to take their work seriously and gives them the opportunity to do so. You can create the space by moving away distractions in one corner of the room. It’s a good idea to set up this area near the window. This allows for lots of natural light to enter the room. You will need to buy a good desk with some pull-out drawers, a chair, and a lamp so that they can see what they’re doing clearly. Your daughter’s bedroom can’t be all about work. There has to be the opportunity to have fun as well. So, why not create a space that’s dedicated to something they love and have fun doing in a different part of the room? You should make this separate from their homework and study space though. The fun space could incorporate whatever your daughter enjoys doing. You should talk to them about what they want to have included in it. They’ll be sure to give you some ideas and tell you want they want most. Bedrooms become increasingly important as your daughter grows up, so it needs to be somewhere that reflects her personality. One of the things that a child’s bedroom has to be is fun. Your children should be able to enjoy their childhood while they’re still young. So, don’t make them grow up too quickly by forcing adult bedroom designs on them. It’s not about creating the kind of bedroom you like, but the kind of bedroom your daughter likes. You also need to make sure that it’s bright and refreshing. You should open up the space and paint the walls in a bright colour so that the room doesn’t feel too dark or oppressive. And make sure you have enough light. Mirrors can help reflect the light too, so use one opposite the source of natural light in the room. The following tips have been provided to me by the mattress bloggers at www.cutpricemattresses.co.uk for helping you buy beds online. They will help you to get it right the first time! If you are in the market for a new bed frame, don’t make some of the silly mistakes that I made. Not only did I choose the wrong bed size, it was not a good fit for the room and I wound up having to pay to ship it back and reorder the right one. When you are ordering a bed frame online, you want to be certain you get it right the first time so that you don’t have to deal with the hassle and cost of returning it. What Room is Your Bed Frame Going? Consider the room that the bed frame will be placed. If your bedroom, you want a piece that will become the focal point of the room. If for a guest room, you can opt for a less fancy style. For my master bedroom I chose a bed frame that created a calming environment. Keep in mind the room the bed frame will be so you can price accordingly. Maybe you are like me, and you just bought a new mattress and need to get the bed frame to match. Problem for me was I purchased a frame for a queen mattress when we had just upgraded to a king. Slipped my mind, but this was a costly mistake. Be sure that you know exactly the size mattress you have that you need the frame for before pressing that order button. The bed frames can range from cheap and inexpensive to extremely costly. The fancier design you fall in love with, the more expensive this purchase is going to be. Be sure to have a solid budget in mind, then shop within that budget to avoid going overboard and spending more than you had anticipated. Is the Bed Frame Movable? One thing that I completely overlooked when I bought my bed frame was how movable is the piece. Many of the larger bed frames will not disassemble into small pieces, so you had better be sure to measure doors and hallways to ensure it can make it to the room without incident. If your home is on the small size, consider a bed frame that has the ability to be taken apart. Consider a bed frame that has casters, this will make it much more easier to roll it around the room if you ever have to make decorative changes. As you know we have recently decorated our bedroom. Though we haven’t bought a new bed, we have needed to purchase a variety of other items. Living in Gainsborough and needing the items quicker than buying them online, we were fairly limited. However we sourced curtains from Argos, shelves from B&Q and new bedding from B&M Home. I can’t wait to share my new look bedroom with you soon!